An interview with a former “Drone Warrior” who fought ISIS in the Middle East. 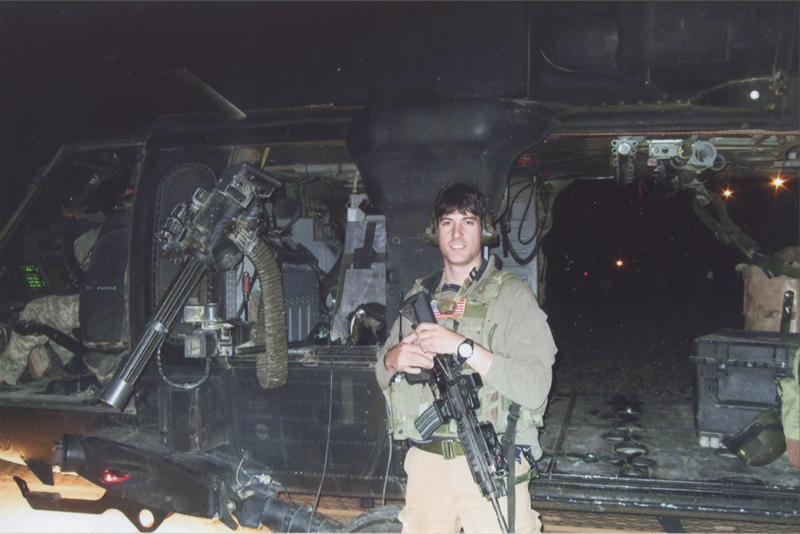 Described as lightweight, hand-held, and portable, the “Raven” was the first drone that US special operations intelligence analyst Brett Velicovich encountered in eastern Afghanistan in 2005. It flew at low altitudes and delivered shaky video feeds covering a short range of six miles or fewer. It was the early years of drone warfare and Velicovich, at just 25, was crafting “kill lists” for the still-highly secret US drone program. “I had the power to decide whether a man lived or died,” Velicovich writes in his new memoir Drone Warrior, on sale now. Deployed with the US Army several times between 2004 to 2010, Velicovich typically commanded Predator and Reaper drones to root out Al Qaeda and ISIS fighters in Iraq and Afghanistan. The bulk of his work was not focused on kill lists, though, but rather long-term surveillance to determine if targets were worth capturing. Under President Bush and then President Obama, Velicovich says he was integral to capturing or killing 14 of the 20 most wanted terrorists in Iraq. Moving past the topline numbers, the picture isn’t always much prettier. In one particularly jarring incident, in 2015, a CIA-authorized drone strike inadvertently killed an American hostage the US government had been trying to rescue, as well as an Italian hostage, despite hundreds of hours of surveillance of the compound. Moreover, myriad legal questions have dogged the program, notably the targeting of US citizens abroad, such as Adam Gadahn and Anwar al-Awlaki. And the military is only just beginning to understand the psychological toll facing operators who kill by remote control. Nevertheless, Velicovich remains an unabashed defender of the drone program and the all-seeing power it provides its operators. His book, though, almost never came out. A normally 90-day government review took 12 months, nearly costing him his book deal, he says. “It just tells you the limit of what I can and can’t say,” Velicovich tells Mother Jones. In a recent interview, the former intel analyst, who now uses drones to fight wildlife crime and animal poaching with the African Eye Project, spoke to Mother Jones about the misconceptions he thinks the media has created surrounding drones, his views on the moral dilemmas of their complicated operations, and the increasing danger of store-bought drones. Mother Jones: Let’s start by talking about a typical day working with drones. What kind of decisions were you making? Sometimes people think we’re shooting a missile from the drone and it’s striking a terrorist compound. Most people don’t realize that 99 percent of the time we’re actually trying to capture the terrorist — they’re worth more to us alive than they are dead. We’re trying to unravel a network, which is why we actually spend more of our time gathering intelligence rather than shooting weapons. MJ: Tell us about how drone warfare has evolved. When I’m watching the number one leader of ISIS drive around a city, he goes and stops at an ice cream parlor, and goes and gets a soft-serve vanilla ice cream cone. BV: Take WWII: A US soldier was looking at a bunch of gray helmets that were hiding in the trench. They didn’t know anything about the guy that was coming after them to kill them. What drone technology gave us was an ability, that’s never happened before in the history of warfare, to know so much about our enemy. Even though these are the most terrible human beings on the planet, we see a bit of humanity in what they do. When I’m watching the number one leader of ISIS drive around a city, he goes and stops at an ice cream parlor, and goes and gets a soft-serve vanilla ice cream cone. It’s a moral decision; by putting these targets on a list, I’m signing their death warrants. That said, a lot of people believe we’re just out there dropping bombs willy-nilly, and that we don’t care about civilian casualties. I get this question all the time: “How many people have you killed?” No one ever seems to ask the question: “How many lives did you save?” And it’s countless. The government spends billions of dollars on drone technology and making sure it’s more precise day-by-day so that we know everything about our enemy, so we can ensure that women or children aren’t simply killed. I can’t tell you how many times we’ve collectively made the call not to kill a particular terrorist because we were so worried that the woman standing next to him might get hurt in the process. MJ: In your book, you mention that the drone program doesn’t go after low-level operatives because you were focused on the “brains of the network.” Can you talk a bit more about how you decide your targets for the kill list? It’s this almost borderline god-like power to be able to make these decisions. BV: It’s not some random call of, “This guy is wearing a turban, he must be bad.” There’s so much intelligence information at our disposal — so much data coming to my desk or computer — that allows me to make the decision that these people are the worst of the worst. It’s this almost borderline god-like power to be able to make these decisions. 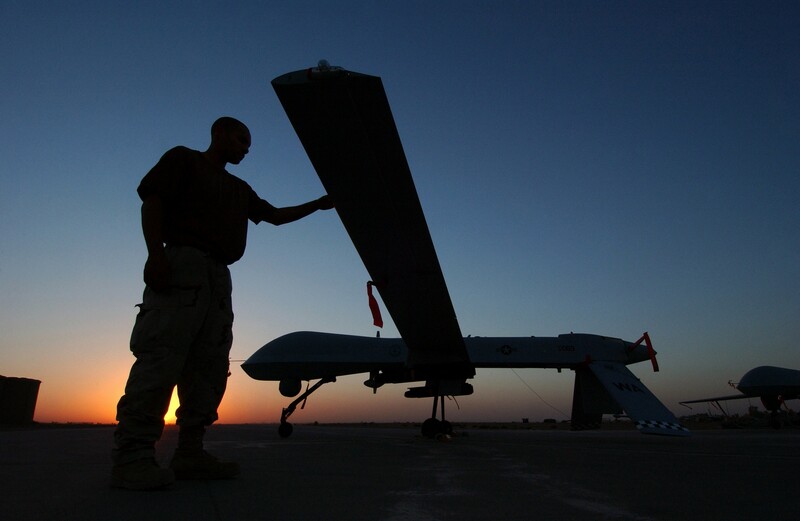 MJ: How bureaucratic is the process of getting a drone-strike approved? And how many layers of government and military approval do you need? BV: I wasn’t the guy creating the strategy for how we win the war in Afghanistan or Iraq. My job was to implement the strategies of senior leaders to capture specific terrorists in the region. That’s where this feeling emerges that the weight of the world is on my shoulders, because the authority is brought down to the lowest level. Now, if you’re talking about [drone strikes in] a country where military people aren’t supposed to be, that changes the authority. Now we’re talking about it requiring presidential approval — it has to go through this bureaucratic approval process. To be quite honest, that is the stuff we don’t need. We need guys that are embedded on the ground, day in, and day out, sitting in these war zones, that know who the next Al-Qaeda leader is going to be. Those are the guys who should be making decisions. When you step out of an authorized war zone, you have so many layers and lawyers involved. There are probably more lawyers than there are soldiers approving things. MJ: You also write, “I could quickly determine if a guy we were staring at was an innocent civilian or the actual enemy hiding in the crowd.” Talk to us about how that quick decision-making works and whether or not that’s an accurate assessment. BV: Imagine all the things people do when they think no one’s looking. After a while, you start to understand mannerisms and how people move, like you’re a detective at the doctorate level. When a guy is in a marketplace, and I think he’s the bad guy, but I’m trying to confirm or deny it’s him, I’m watching him walk around a market. Everyone around him is doing what people do in the market: They’re buying fruit and walking around and smoking. But this guy in particular has an agenda. He seems to be going to meet someone, something seems out of place. Or he’s handing things off to people, looking around, looking in the air to see if someone’s watching. He’s more paranoid than the people around him. This is how I caught the leader of this group called Ansar al-Islam, the terrorist group in Iraq predating Al Qaeda. People had been looking for him for 10 years, and I found him in his house in downtown Baghdad. The guy never left the house. All he would do was walk out to his courtyard at night, and play with seven or eight kids. He had a wife. But people would bring him stuff. I started following the people who brought things to his house and tried to determine if these guys were just normal citizens. One day, this guy who kept bringing and picking up stuff from his house arrived in a car. The target finally gets out of the house, and gets into the car. This was after two or three weeks of watching. They drive down the street, turn a corner, and all of a sudden, the car turns back around, comes back to the same house. And the target runs back inside the house, and the other guy drives away. I was thinking that was weird. Once I zoomed out, we found that there were Iraqi and US military patrols going house to house — a typical thing that happens in war zones to make sure there’s nothing happening in the street. It ended up being the number one leader of Ansar al-Islam. MJ: In your book, there is a scene about the wrong person being hit in a drone strike. Can you talk to us about what happened? BV: This is one of those times that keeps me up at night because I know that regardless of everything, I was the one who pulled the trigger. It’s my fault. We were going after a target, and someone in the neighborhood heard US troops in the area and started thinking that it was actually ISIS. So this guy comes out and he guy was just trying to protect his own home. This is one of those times that keeps me up at night because I know that regardless of everything, I was the one who pulled the trigger. These are the tactical implications of the decision I had to make, which, in this case, led to that person dying. These events are devastating — they’re so rare, I can’t emphasize that enough. But, basically, this guy was in the wrong place at the wrong time, and he was put down. When someone’s shooting at a bunch of Navy Seals, they’re going to fire back. MJ: In situations like that one, how do you switch off from work? BV: I wasn’t in a trailer in Nevada watching people in Iraq. I was sitting there in Iraq. The only time I got to come back home and extract myself from that world was when the deployment finished. I didn’t have this mental anguish or psychological impact people might think. I wasn’t crying myself to sleep or wondering how I did all these bad things. I had to deal with this idea that maybe we missed people that I know are still out there now killing others. My only regret in this work was that we didn’t get enough of them. MJ: And your colleagues? Did they encounter any problems transitioning between work and regular life? BV: Not really. I think there are good support networks. When I left, there was this difficulty transitioning again. What else am I supposed to do with my life? I was doing this incredible thing, and I was seeing the benefit of what I was doing every single day. What’s better than that? The problem most folks have with coping is that there’s so much going on overseas, and we’re fighting ISIS overseas in a way that Americans don’t understand. Everyone knows it’s important to fight them over there, so we’re not fighting them here. But you can’t share that with others. How do you tell your parents that last week you were following around a guy you know would eventually die? How do you explain that you spent every single day watching and choosing targets for the US government to go after? That’s an odd conversation to have. What happens is people hold it inside and they hold it close, and you begin to feel that there’s nothing else other than this. MJ: Have you ever interacted with someone living in areas where you’re conducting drone strikes? BV: I was very close to the fight. I was not running into the hail of bullets, but I was still in the area that we’re operating. When you take Iraqis, for instance, they don’t want terrorists running around controlling their lives. They’re happy about what we do. They’re not happy when an innocent gets killed. Others might think, “Well, you’re creating more bad guys as a result of [these drone strikes].” You always hear about the bad that [drone operations] do, and sometimes that does resonate on the ground. People are worried that drones are flying around. It’s not funny, but there’s this paranoia that everything in a war zone is a drone. MJ: You also mention that there was more analysis of collateral damage after President Obama came into office, compared to under the Bush administration. What did that mean for you and your work? BV: It was very important to the Obama administration to make sure that we were really getting a good understanding of the after-effects of a drone strike, understanding how many civilians were being killed. That’s because of this media cycle that seemed to want to focus on the civilian casualties, instead of the fact that we just took out a guy who was responsible for tens of thousands of civilian casualties. I was kept up all night and haunted by this thought of “Did I hurt somebody because of my decisions who was not supposed to be hurt?” — all of us doing this work thought this way. When [Obama created new rules over time to reduce civilian casualties from drone operations] to really look at the damage estimates, things changed. When a strike occurred, Air Force guys would simply stay there, watching what happened afterwards to determine if there were any innocent people hurt. For instance, if a drone strike were to take place on a vehicle somewhere and that vehicle happened to be close to a population center, did the missile, or some fragments from the missile, accidentally hit the population center and maybe injure someone? We got it forced down our throats, “You better be right, you better do the right thing, you better know the person you’re going after.” Because these are human lives. These are real people. That is what Obama’s new rules did. MJ: Are there any dangers associated with commercial drone technology? BV: I still have friends who are sitting in Iraq and Syria, and they’ve sent photos of terrorist groups that are now adapting the technology [for combat purposes]. They’re arguably using it with better strike capability than the US, because they don’t have any rules that they have to follow. I don’t think the US government gets it, because they’re dealing with Predators and multi-millionaire defense contractors. They don’t necessarily know how easily an ISIS guy can pick up a drone we sell in a store in the US, strap a grenade to it, send it to 10 miles from the remote, and have it ram right into a tank. Not many people know both sides of the coin. The danger is not only from terrorist groups. Think about governments that want to have the same capabilities that the US does. They’re figuring it out, too. There’s just not enough regulation to keep up with how fast this industry is moving. MJ: How did you feel when you learned your book was being picked up for a movie from director Michael Bay? Michael Bay is, hands down, the single greatest director of my generation. BV: Michael Bay is, hands down, the single greatest director of my generation. I can tell you that I am incredibly humbled that someone at his level would take an interest in this story. I hope that if my book is in theaters, it’s told the right way, and honors the men and women in uniform. That’s all I can ask for. I believe what resonates is the fact that I have taken the technology and I am using it for good. Mother Jones is a nonprofit, and stories like this are made possible by readers like you. Donate or subscribe to our magazine help fund independent journalism.